Ascent Tools mobile hiking app is a personal project focused on designing a mobile app to encourage the exploration experience. The goal is to get users to traverse new trails while providing users with a detailed history of their many ascents. This project and the presentation of this project are still in progress. Organizing the app's content into taxonomies and hierarchies of features and information. 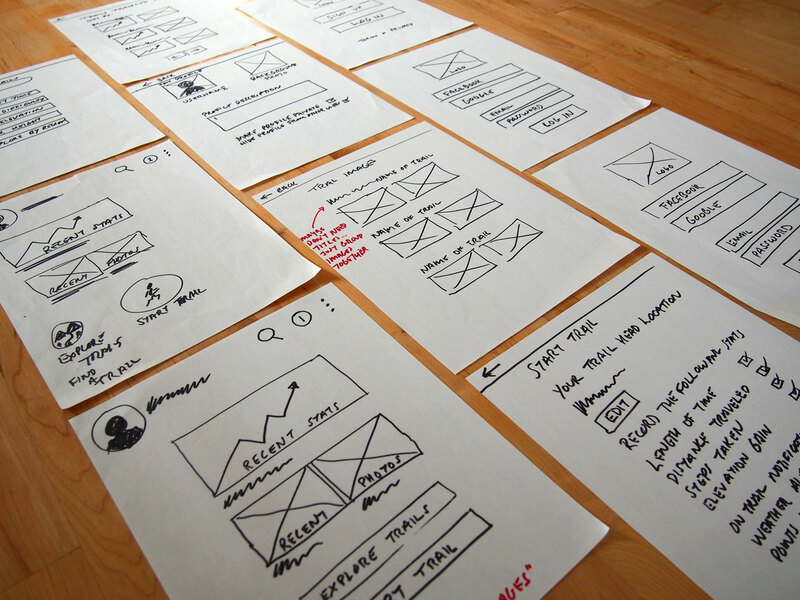 Sketching out wireframes quickly to develop ideas and figure out flow. Building a prototype in Figma. Please email for more details about the Ascent Tools project.